We don’t believe in labels – except modern, luxury and upscale. Celebrity chic cruise ships offer a world of modern luxury to all who sail them. With stunning spaces designed by some of the world’s most renowned architects and interior designers, it’s no wonder Celebrity continues to win awards and are always ranked as one of the best cruise ship companies in the world. 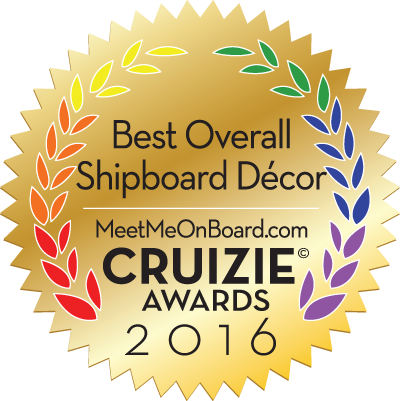 We have reserved these great sailings for LGBT travelers, allies, family and friends. It’s a wonderful vacation to meet new friends. Hang with old ones. And make unforgettable memories together. All sailings include a welcome cocktail party and up $50 onboard credit. Cruise with Pride on Celebrity Cruises. Call us for more information or to book your next getaway. Looking for a luxury modern cruise this holiday? Visit our Holiday Go Better Special page to review more offers and sailings from Celebrity Cruises. Hurry now, offer ends July 8th. Prices are per person, cruise only, select sailings, and based on double occupancy. Offer is capacity controlled, availability varies by sailing, and eligible staterooms may sell out. Onboard credit is applicable on select Cruise Planners Home Office group sailings. Onboard credit amount not availalble on all sailings and amount varies on applicable sailings. Group Onboard Credit is combinable with current consumer promotions. Offers and prices are subject to availability and change without notice, capacity controlled, and not applicable to charters or contracted groups. Refer to Cruise Ticket Contract for additional terms and conditions. Celebrity reserves the right to cancel the Offer at any time, correct any errors, inaccuracies or omissions, and change or update fares, fees and surcharges at any time without prior notice. 2016 Celebrity Cruises Inc. Ship registry Malta and Ecuador. Cruise Planners, an American Express Travel Representative, is merely a selling agent for the cruise line and makes no warranty expressed or implied. We are not responsible for errors and omissions. CST #2034468-50. FST #ST39068.